Once upon a time, Jesus Jones meant something.. Now, 3 albums and one breakup later, it seems bizarre that this groundbreaking band can’t even get a deal in the UK, even with With an imminent support slot to The Wonderstuff and a ‘best of’ compilation coming out early next year, this new album on a tiny American label with minimal UK distribution is likely to fall by the wayside, which is a shame given their once groundbreaking output. Maybe that’s EMI’s fault: Their last album (in 1997) charted at 113, the one before it (1993) at no. 9, and the one before that (1991) entered at no.1. How times changed in the aftermath of britpop. Now the band’s recamped to the US and got an new album out in the US only, the bizarrely titled “London”. Whereas previously Jesus Jones were a shambling barrage of techno and noise attitude, now by comparison, we have a streamlined stadium rock band. Stylistically, this is looking forward, but still oddly stuck in reverse. Taking most of its’ cues from the last album “Already”, it’s a clean, radio friendly and oddly safe piece of rock electronica, despite whatever the opening anthemic “Message” might indicate ; which owes more to their cover of Gary Numans’ “We are so fragile” (in an AC/DC style) than anything else. “Stranger” while also catchy, is again, cut from the same template. Its as if the band got stuck in a regressive timewarp: while 1993’s “Perverse” is still a spiralling, futuristic techno-rock masterpiece (laying the grounds for the fusion of guitars and keyboards that was later ripped off by **Fear Factory “Demanuacture”), this is nothing more than treading water, another backwards step. The best thing to say about this is its’ a Jesus Jones album. And also, that’s the worst thing to say about it; Mike Edward’s vocal dominates this record, his instantly recognisable vocals also steadfastly securing this band in the early 90’s which the band will never escape in the eyes of the public. 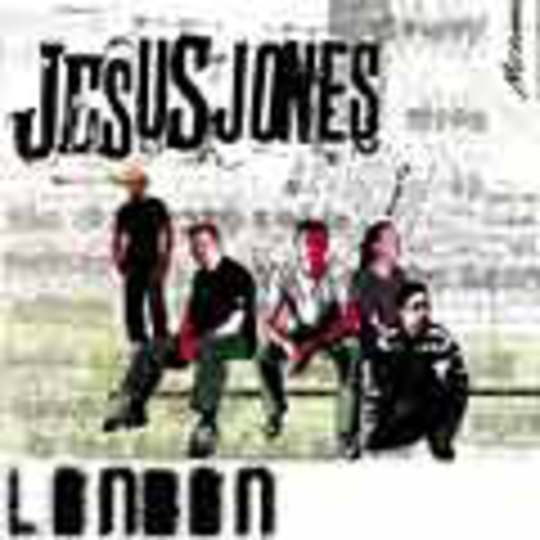 Times have moved on, Times have changed : and Jesus Jones have not. A few new rejigged sub-drum n’ bass drumbeats, a sub-audible smooth bassline and some Indian tabla scales do not a radical reinvention make. They just make a different coat of paint on the same beast; no matter how well disguised. If you’re a Jesus Jones fan, you’ve been waiting for this record eagerly for years, but if you’re not it’ll pass you by, and you won’t really have missed a lifechanging record, unfortunately. For a band with such great potential to churn out such startingly average product is but one of the most disappointing things a fan can ever see.